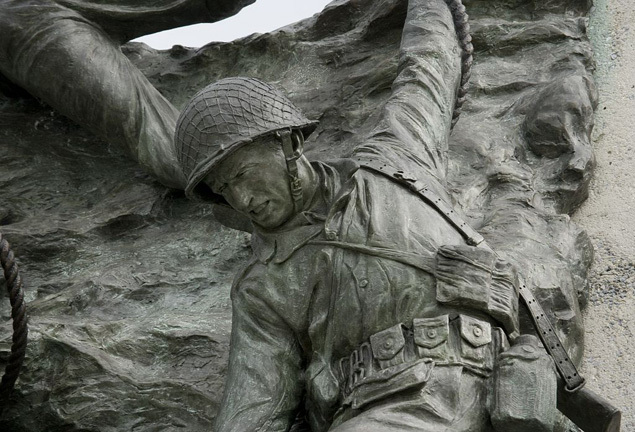 Because it is, today, 71 years after the D-Day invasion, when thousands of Allied troops stormed ashore on the beaches of Normandy and, through their sacrifice, enabled the armies of freedom to make the last push to defeat the Axis forces in Europe and bring an end to the Second World War. Thank you to all who sacrificed so much that June day, 71 years ago today. A really good series of fiction books to read about WW2 is “Billy Boyle”. Such good insight. Am waiting for the latest in the series to come out this fall. They are up to 1944.